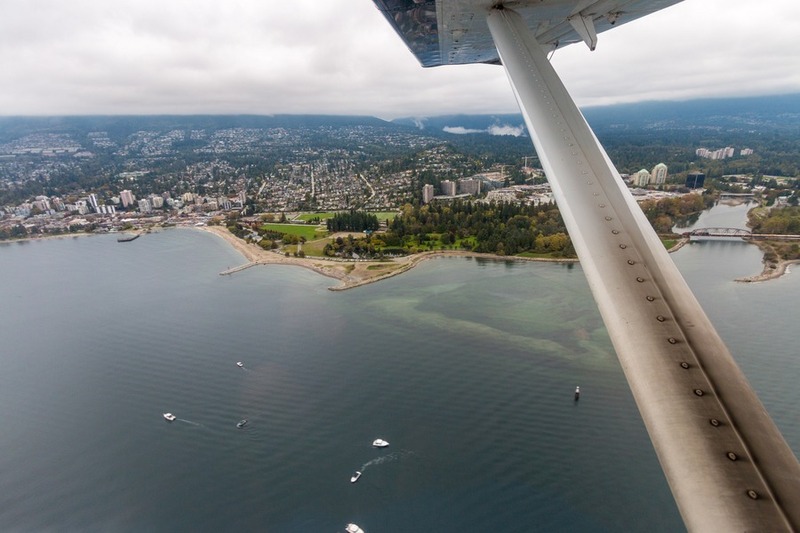 There are several ways to reach Victoria on Vancouver Island, Canada. For many of us the cheapest option is the first choice. But what is really more important - our time or money? 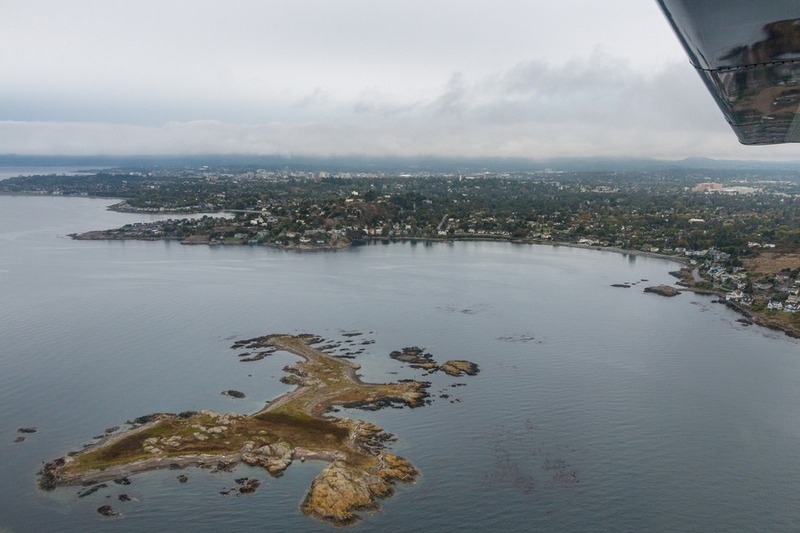 When Viator asked if we wanted to try their unique day trip to Victoria by Seaplane and Ferry from Vancouver, we were more than keen to give both the luxury and the not so luxurious a try. 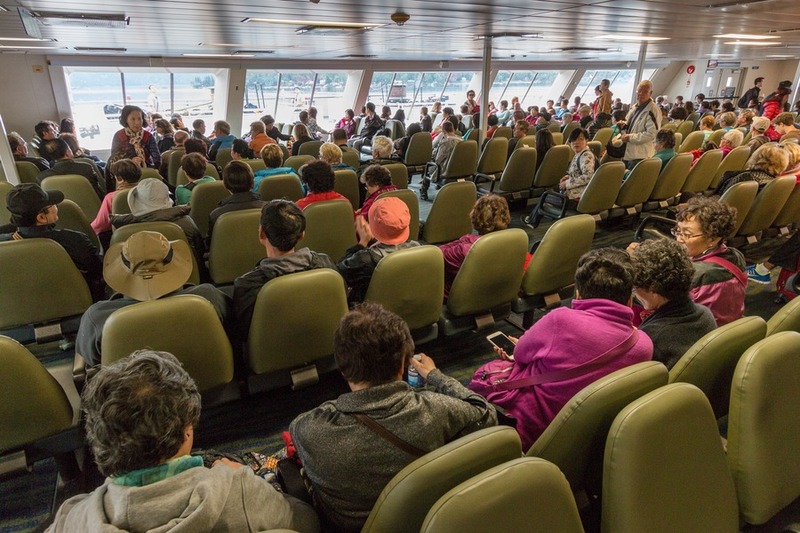 If you are more time poor than "money poor", the 3 to 4 hours it takes for the coach and ferry to reach Victoria may be an unattractive option. My first experience with a seaplane was when I scored a spontaneous flight back in Sri Lanka in 2014. But the kids and husband had never done it before, so excitement levels were high. 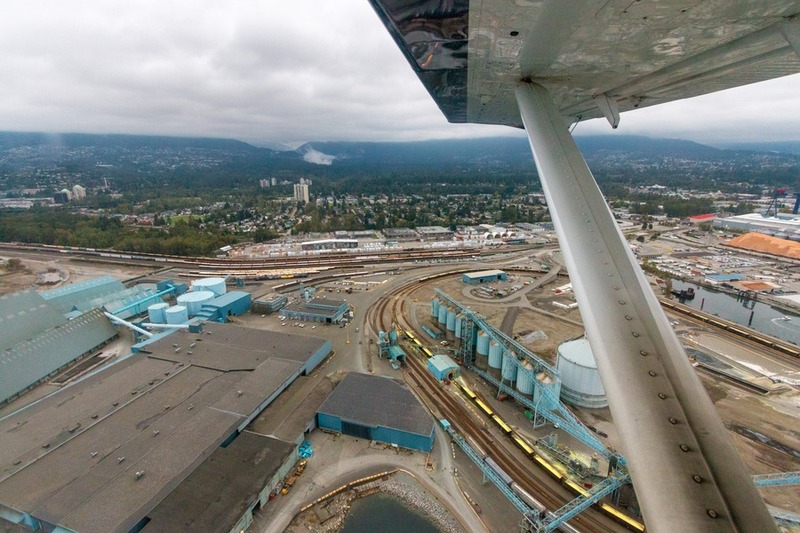 Finding the seaplane wharf in Vancouver was fairly easy. 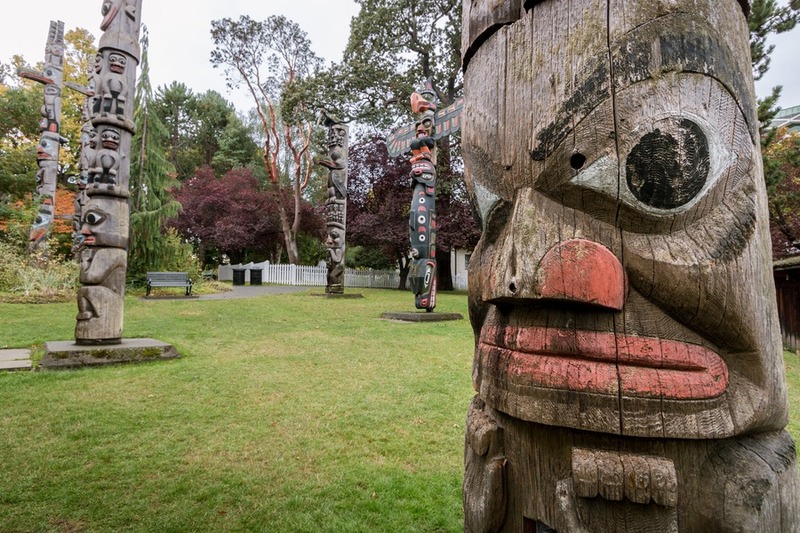 It’s located next to Canada Place, behind the Convention Centre, and you can find parking at several nearby lots or catch a train to the waterfront. Just be wary because parking will set you back about CAD$30 for the day. Checking in for the flight was far less painful than your typical commercial flight. 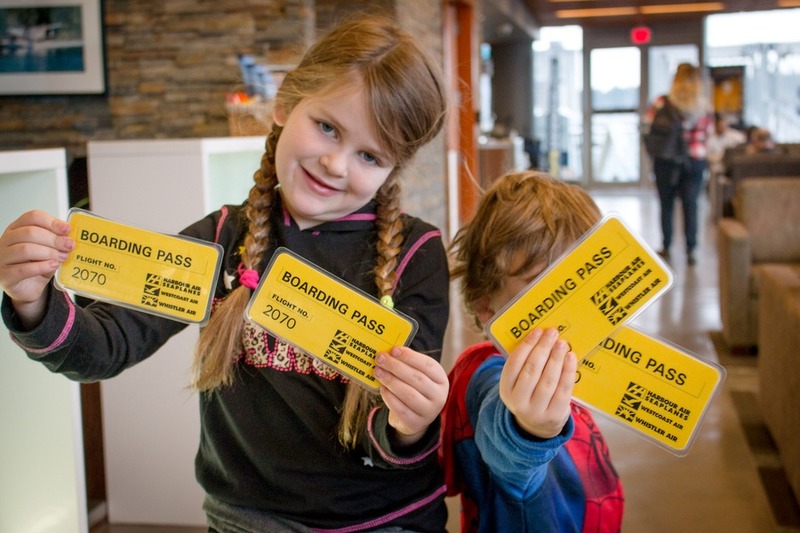 In fact we simply presented our identification and booking code, then in return were handed laminated boarding passes. There were no security checks or long queues. We simply took a seat in the comfortable, quiet lounge and watched a couple seaplanes take off and land for a few minutes. I wish all airports were this easy! 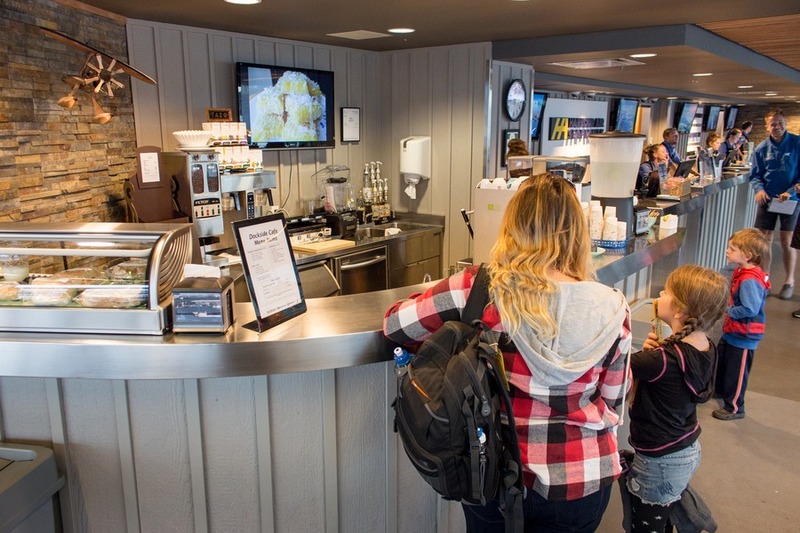 A friendly staff member offered complimentary tea, coffee, hot chocolate and tasty pastries. Yes please! Floor-to-ceiling windows surrounded the lounge providing gorgeous views of Vancouver’s famous waterfront. Once our flight was called we walked down the jetty and easily spotted our 12-seater plane. With the help of a friendly ground crew member, I stepped into the cosy cabin. A small backpack or carry-on luggage is allowed and gets placed at the back of the plane. My scientific estimate concluded that 2 people assigned to each seat that should have fit 1.5 people. Squish! Thank God Josh and I were each sharing with a child. Those other passengers looked mighty uncomfortable (or happy, depending on who they were). Only a narrow door-less arch separated the cockpit and cabin. The kids were more interested in watching out the window as the engines kicked in and we skimmed smoothly across the water. Josh was fixated on the fascinating pilot's controls. Seconds later the plane was pulling up gently, soaring southwest towards Vancouver Island. As the aircraft banked to the left we could see the entire city bustling below. There's no doubt - this was the ultimate view of Vancouver. 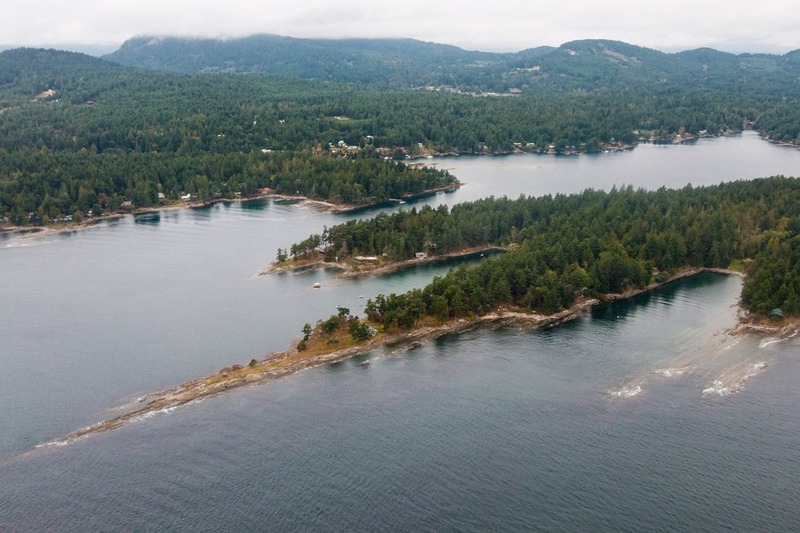 We soared over tree-filled islands that dotted the coastline. And less than 40 minutes later we landed gracefully in the heart of Victoria's harbour. Time flew by... literally! Disembarking was as easy as getting out of a car. I simply stepped off the plane, grabbed the luggage passed by the ground crew, and walked off. We were in need of a Wi-Fi fix, so we stopped at the Victoria terminal for another hot chocolate, an apple for the road, and a toilet break. Remember, there are no toilets on board the seaplane. The rest of the tour was pretty much self-guided and we were given free reign to explore the quaint island city at our own pace, wandering through it’s charming streets, parks, shops, eateries and attractions. We caught up with our dear friends Pearce on Earth who we had met in Bali and Australia at different times during our travels. 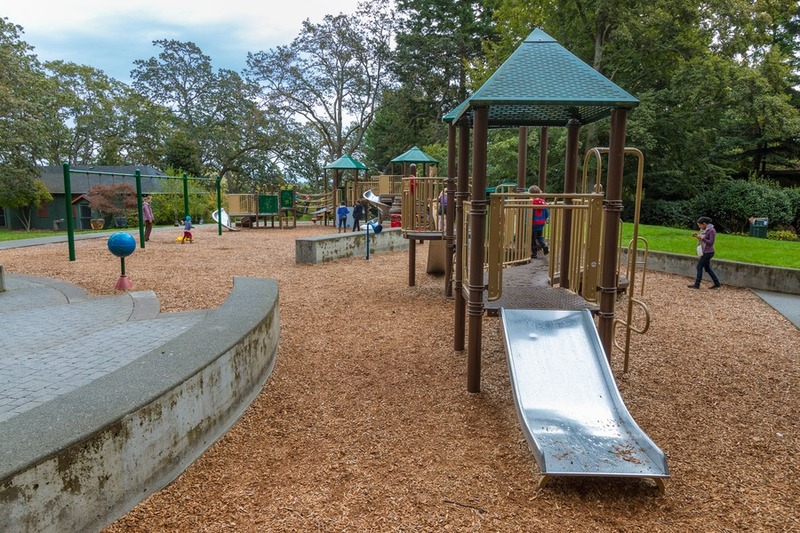 Our first stop was a stroll below the falling amber leaves of Beacon Hill Park and plenty of stops at playgrounds. 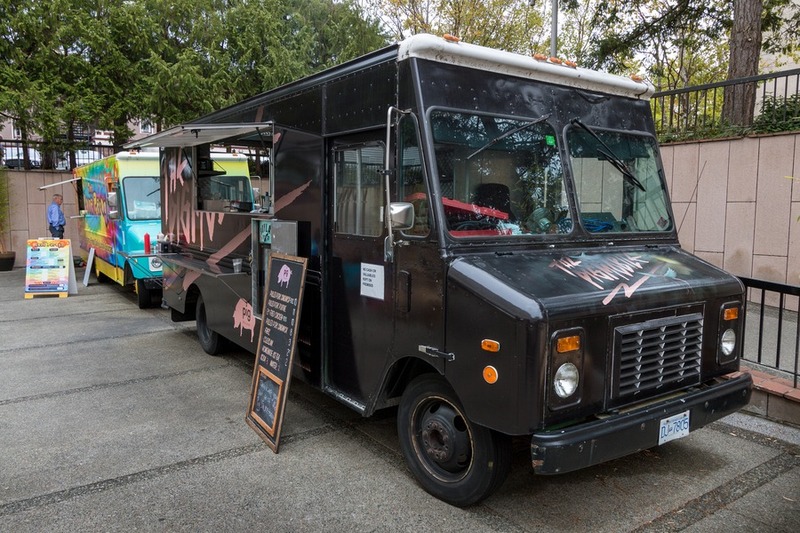 Next was a pop-up food truck festival where we ate tacos and pierogis on wooden crates before trying a caramel apple. 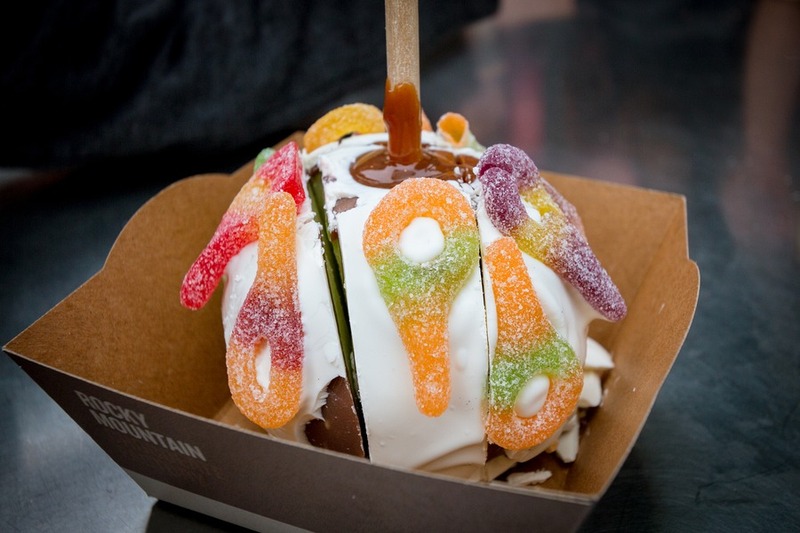 Gee, those things are sticky – think I’ll stick to Aussie toffee apples. Time passed incredibly quickly and before we knew it, it was time to head to the bus depot, conveniently located behind the easily recognisable Fairmont hotel, to catch our coach back to Vancouver. We gave our friends warmest hugs and hurried off to try the less-luxurious route home. We had been given our coach tickets earlier in the day when we checked in at the seaplane terminal, so we simply waited in line to get on board. It was a busy coach, so a somewhat early arrival ensured that we could all sit together. Seats were comfortable, and many passengers (including Josh and the kids) quickly nodded off. The coach drove right onto the ferry and then we were given free reign of the ship during the crossing. The ferry was quite a pleasant ride and time passed quickly as we enjoyed a small bite to eat in the food court and the kids played in a tiny play area. 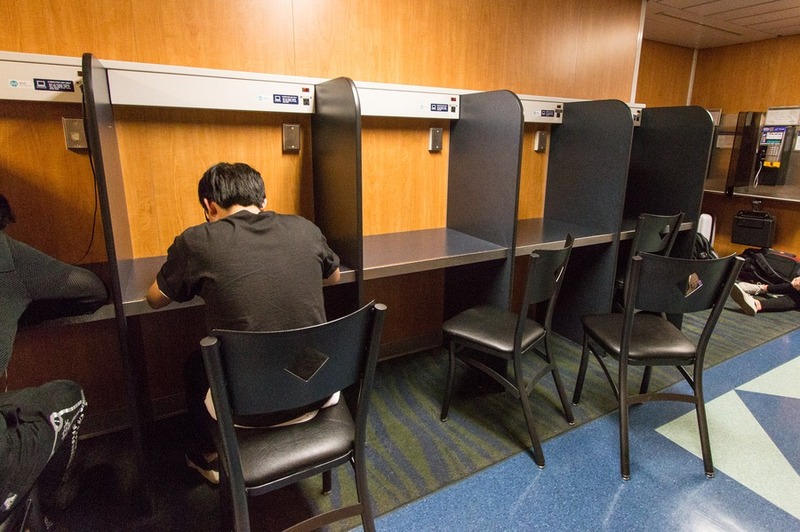 Mini cubicles with power points were available for passengers who wanted to use their laptops or tablets. And although Wi-Fi was available on the ship, it was virtually unusable with hundreds of people trying to hit it at the same time. 15 minutes before landing an announcement was made on the public address system and we made our way back to the coach. We seamlessly drove off the ferry and on towards downtown Vancouver. We were able to request a stop near our parked car, however we opted for an earlier stops about 3 blocks away. This worked out better since we didn’t have to wait for the winding route and other stops to be made. The whole journey back to Vancouver took approximately 3 hours including the 1.5-hour ferry leg. So Which Would You Go? 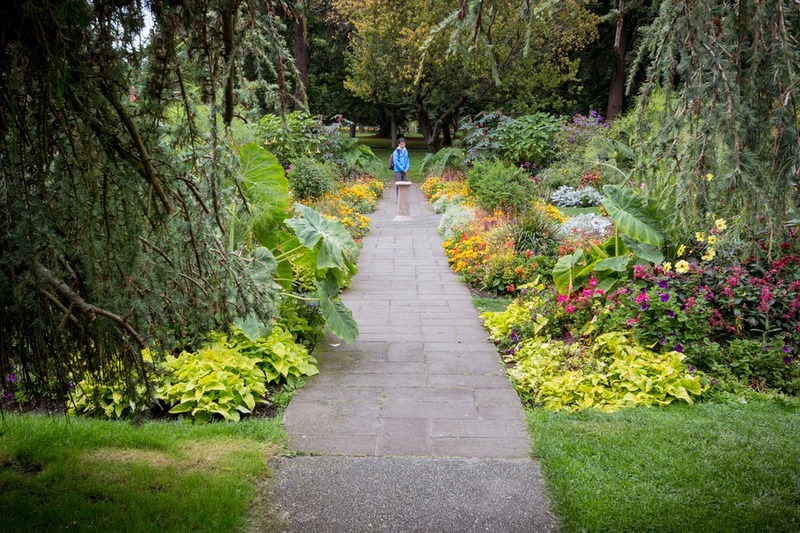 Victoria is a must-see day trip destination for any vacation to Vancouver and we were delighted to be able to spend the day there how we liked. On the recommendation of our new friends at the Toyota dealership we plan on loading up an off-road SUV and returning for a full weekend next time to check out the coastal side of the island. The seaplane was a luxurious experience and a much faster way to get to the island, leaving more time to explore (or more time to sleep in!). 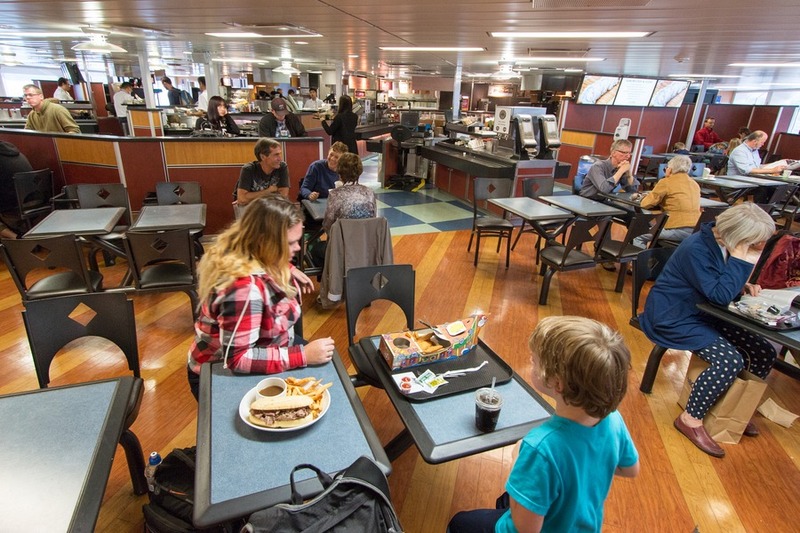 The ferry had a relaxed atmosphere, places to eat and room for the kids to play. However the long coach rides were tiring after a long day. This tour afforded us the option to try both the seaplane and the ferry, and compare the benefits of each. So what would you take? Luxury or budget? Seaplane or ferry? Or both? Either way, this tour provided the chance to explore of a very walkable and very charming city. But if given the chance, I'd jump on another squishy seaplane in a heartbeat. I would definitely do that. Sounds exciting. So difficult to choose because both have their advantages. I think I would like the sea plane because it is a unique experience. Victoria looks like a place we will need to visit at some stage and will hope there is a a pop up food truck festival happening. I would definitely want to try the seaplane purely for the experience. The coach looks relaxing and comfortable, and I guess each experience has its own merits. I think its always nice to see places from different perspectives. I had a lovely short break in Victoria earlier in the year and I loved it there. 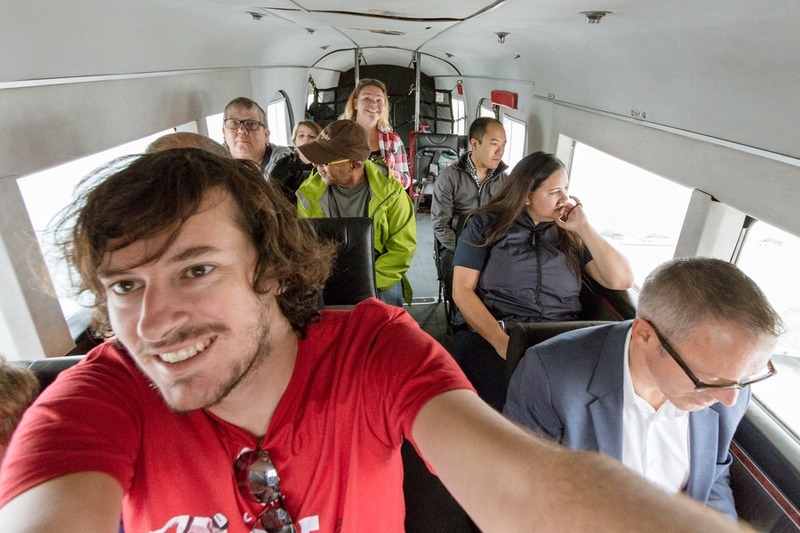 My first experience of a sea plane was at the other end of the island to the Great Bear Rainforest - a magical experience that I'd highly recommend but very cramped - I wouldn't want to fly in one for long. I love seeing a new place from the water too so doing one to get there and the other to return sounds a perfect combination.